As if the magnificent Mt. Shasta isn’t enough, Northern California is also graced with the presence of beautiful Mt. Lassen, California’s only active volcano. 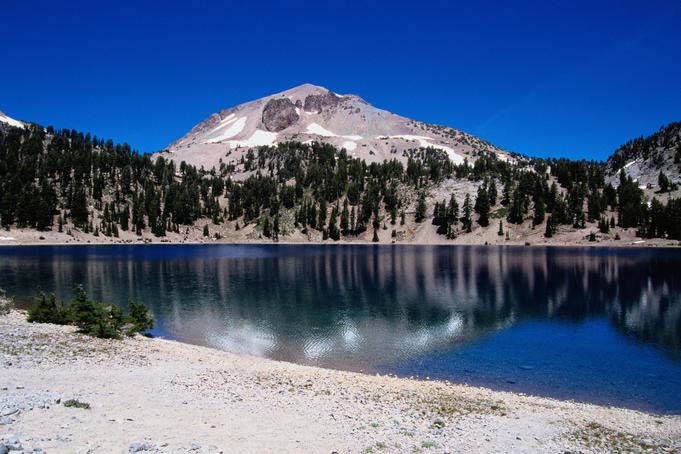 Mount Lassen contains of all four types of volcanoes on earth and is the most recent volcano in California to have erupted. After remaining dormant for 27,000 years, Lassen again became active on May 22, 1915 in a powerful eruption, often referred to as “the Great Explosion”. Mt. 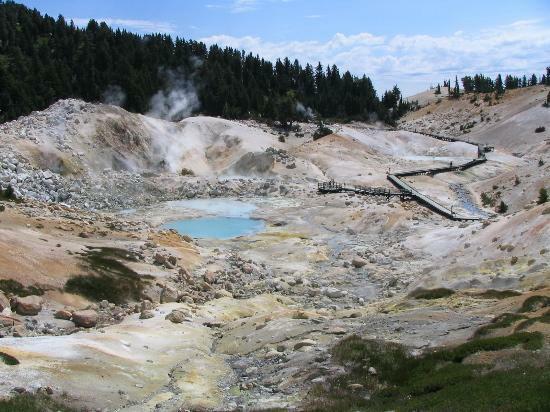 Lassen is located in Lassen Volcanic National Park and is the southernmost active volcano in the Cascade Range. Lassen Peak, the largest of more than 30 volcanic domes, has a height of 2,000 feet making it the largest lava dome on earth. It also has the greatest known winter snowfall amounts in California as it receives the most precipitation of any region in the Cascade Range. It was originally home to the Maidu American Indians but was named Lassen Peak in honor of Peter Lassen, a Danish blacksmith, who, in 1830, led immigrants through the area to the Sacramento Valley.